Memoir of a former MIT President, as well as professor, corporate director, and advisor to American government agencies and to museums and foundations. Howard Wesley Johnson has been associated with MIT for more than forty years and been a major influence on the modernization and expansion of many of its programs. He will be most remembered as a management educator and as MIT's president during the turbulent late 1960s and early 1970s. The title of his memoirs reflects his central, usually lonely position in those days, trying to hold together an institution often torn apart by the turmoil of the times. 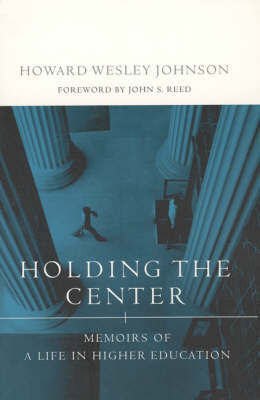 Johnson was more successful at navigating the minefields on campus than were many other college and university presidents, perhaps because he was always willing to listen to both sides and because his values were in the right place-against the war in Vietnam, in favor of increased participation in the university by women and minorities, and concerned about environmental issues. As a professor and administrator at MIT, a corporate director, and an advisor to American government agencies and to museums and foundations, Johnson consistently sought both to understand and to apply the principles of good management.